Now five to six players can sail into the wild, uncharted seas. 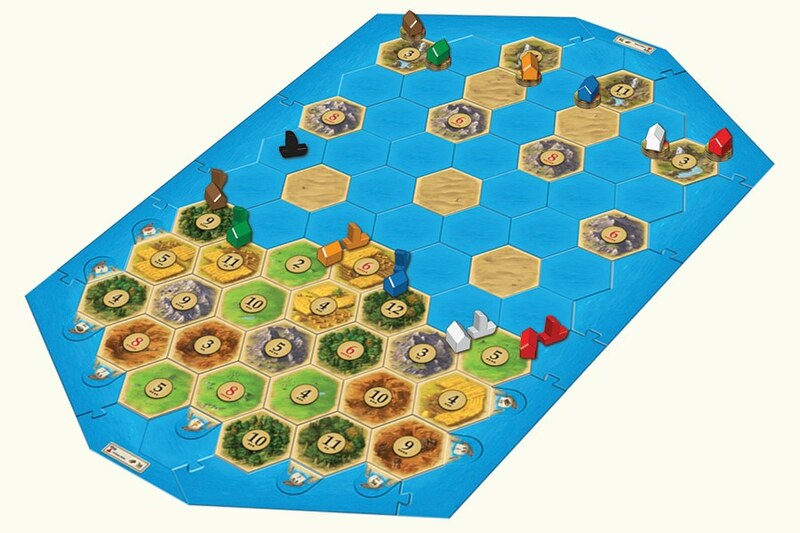 Produktinformationen "CATAN - extension Seafarers 5/6 player english version"
Now five to six players can sail into the wild, uncharted seas and explore and settle the many mysterious islands near Catan! Add one or two more opponents without sacrificing ease of play. Try one of 9 new scenarios! This rich extension adds even more drama to the award-winning game of seafaring, discovery, and trade. Settle islands, build ships, and chart the nearby waters. Discover far-off mines and use your gold and resources to become the undisputed ruler of Catan! NOT a complete game! 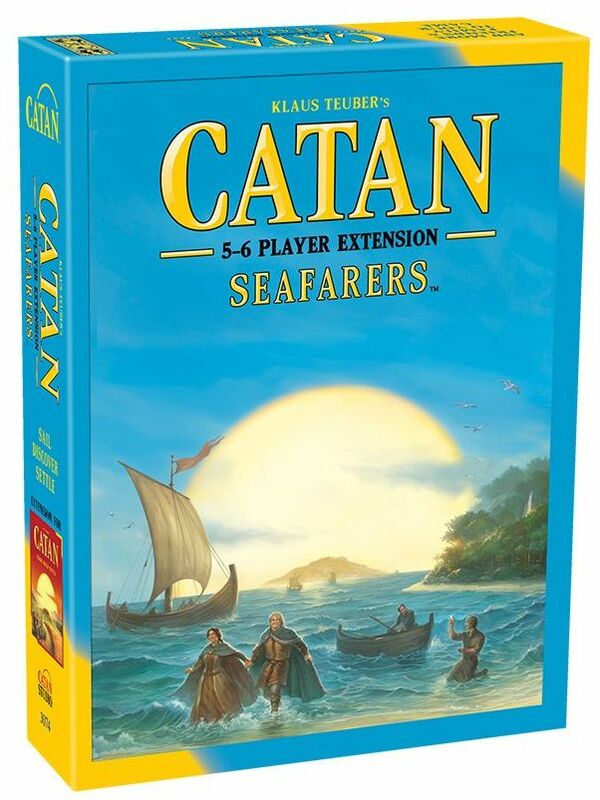 You need a Catan game (aka The Settlers of Catan), a Catan: 5-6 Player extension, and a Catan: Seafarers expansion in order to play with this extension! ACHTUNG, diese englischsprachige Ausgabe ist NICHT mit der deutschen Ausgabe kompatibel! 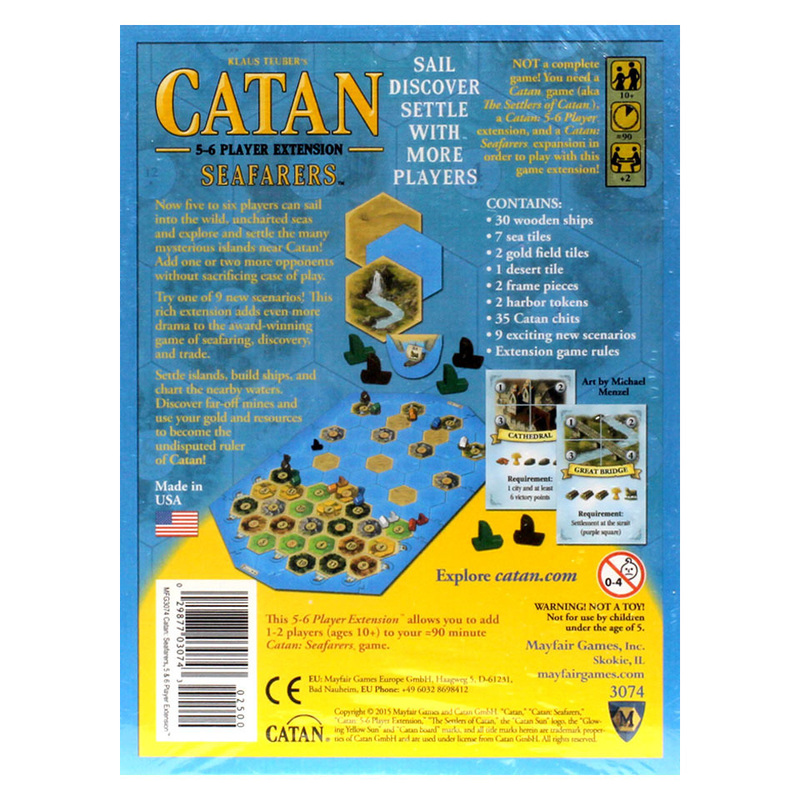 The Settlers of Catan™ the original strategy board game. Now five to six players can explore and settle Catan! Dark clouds gather over the once peaceful landscape.